All it took was a delicious cookie. The kind that is hearty and chunky with all my favourite things like seeds and cacao nibs and cranberries and goji berries and tahini (aka my favourite butter of all time until infinity). The kind that promises to be hearty, healthy AND delicious, and actually delivers on that promise. It’s no wonder that I fell in love with it and have made the recipe more than half a dozen times. And in falling in love with the cookie, I discovered and also fell a little bit in love (not in a creepy stalker way … in a respectful admiration type of way) with its creators, Sarah Grossman and Tamara Green, the duo behind Living Kitchen Wellness blog and now their debut cookbook, The Living Kitchen Cookbook, Healing Recipes to Support Your Body During Cancer Treatment and Recovery. Sarah and Tamara are both Certified Nutritional Practitioners who have been “cooking, planning menus, creating recipes and working intimately with people to elevate their health, recover from illnesses, change their diets, and make powerful changes in their lives”. I am a person who avidly believes in the impact of food on health, and the power that knowledge brings in terms of making savvy food choices. 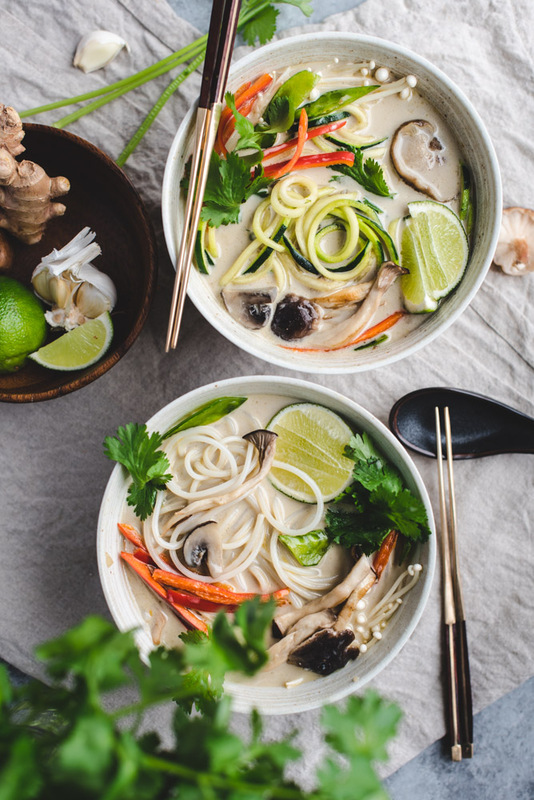 In their book, Sarah and Tamara leverage their training and expertise to share research-based nutrition information in a way that is illuminating yet easy to understand, alongside a collection of nourishing recipes made from whole, real foods and stunning photography to drool over. As soon as I read through this book, I recognized immediately how special it is. I wish my mom had this book when my brother was diagnosed with non-Hodgkin lymphoma in his 20s (for the first time, with two more relapses to follow). The deep sense of helplessness is difficult for a cancer patient and their caregivers. Knowing the strong healing power of food, a cookbook like this with the explicit focus on cancer diagnosis, treatment and recovery will be so empowering for people who want to feel in control of one aspect of the process when so many other variables are not within their control. 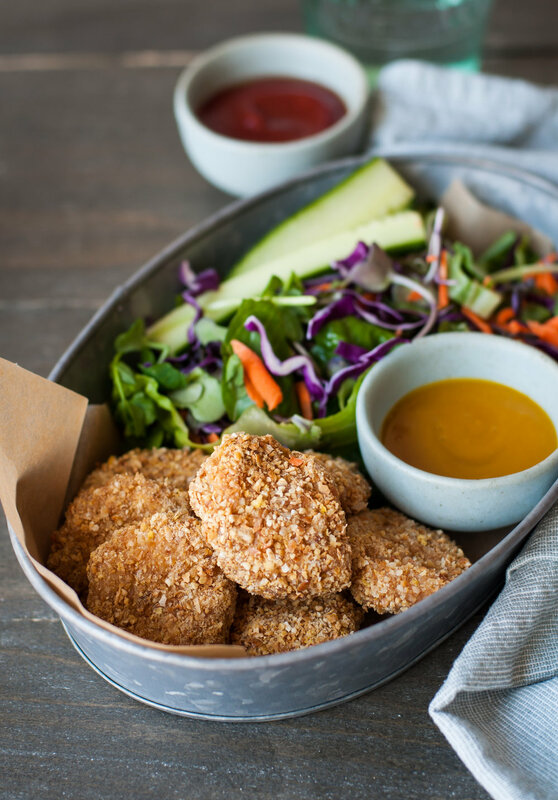 Whether or not you or your family have been touched by cancer, the recipes in The Living Kitchen Cookbook are ideal for healthy eating for all of us! 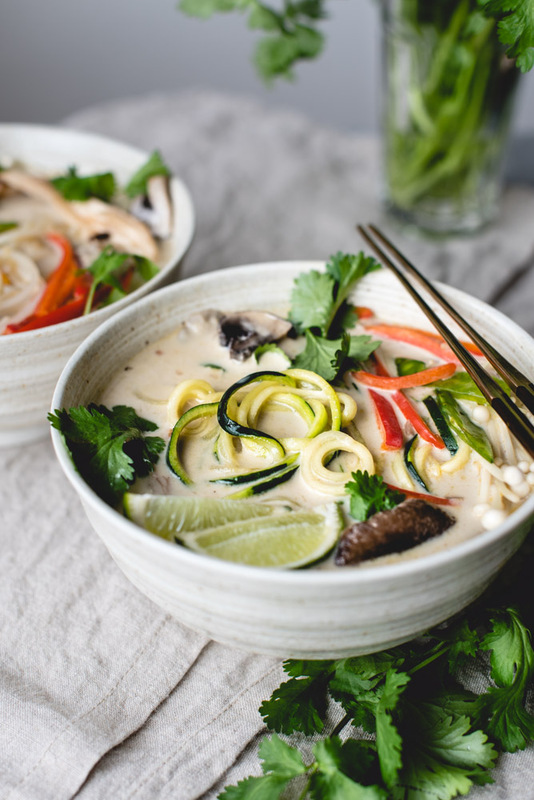 This Thai Coconut Soup, for example, is a recipe I have already made twice in less than two weeks for my family. 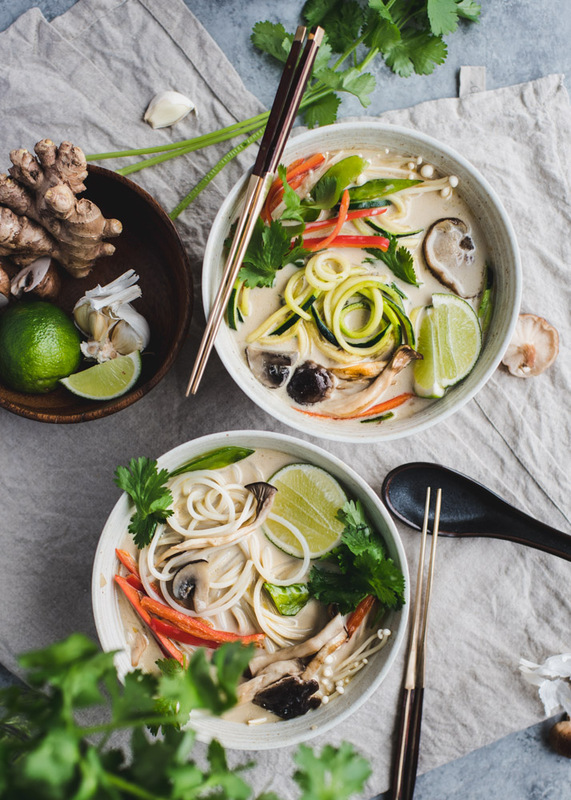 Recipe for this Thai Coconut Soup is from The Living Kitchen Cookbook by Tamara Green and Sarah Grossman, shared with the permission of Appetite by Random House Canada. The Living Kitchen Cookbook is available on Amazon, Indigo and Barnes & Noble. Place a large pot over medium heat and add the coconut oil and the onions. Sauté the onions for 5 minutes, or until translucent and soft. Add the ginger, garlic, mushrooms, carrots, and red peppers and sauté for 3 minutes. Pour in the coconut milk and broth. If you want to include a protein, add chicken, cod or tofu. Cover the pot, bring to a boil, and simmer for 25 minutes, or until the vegetables and protein are cooked. Add the snow peas and simmer for 2 more minutes. If you included chicken or cod, remove it from the broth, shred or flake it into small pieces, and put it back into the soup. Top with fresh cilantro, lime juice, and tamari (or coconut aminos). Add some sprouts, too, if you want. Serve hot. You can store this soup in the refrigerator for 4 days or freeze for 3-4 months. This recipe was published with the express permission of the authors and publisher, Appetite By Random House.